Very useful as antiquarian booksellers where their Latin helps and they can find significance and saleable features in the dullest old tome. They can identify the first book on Buddhism published in South America or the first kosher cookbook in Ladino or spot a Buxton Forman or Major Byron forgery at 10 feet or even ferret out an undeclared facsimile (woefully overpriced) in some ignorant dealers stock. Possessed of a Funes like memory, fond of puns, sometimes, but not always, a good cook, superb musician and dangerously experimental chemist. Some are libidinous, some uxorious, some live like monks--oddly enough they are seldom boring. 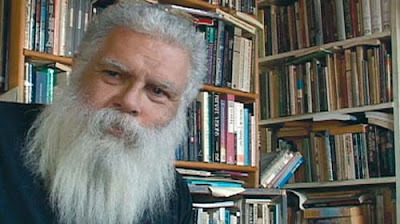 I felt like Hermione Granger leaping up and down at the back of the class because I knew that the polmath in the top picture is Samuel R Delany, a particular favourite author of mine and a polymath indeed. Then I noticed that the file name of the picture actually includes the words 'Polymath' and 'Samuel R Delany' and felt more like stupid Ron Weasley! Book dealing has always attracted/been the only choice for eccentrics, obsessionals, the otherwise unemployable and the mad, bad and dangerous to know. Many years ago I was talking to a book dealer who lamented the quality of applicants for a job he offered. After he listed their qualities I pointed out they sounded just like him. "Yes." he said "But I.m only doing this because no-one else would give me a job and I'm certainly not going to give a job to someone like me. They're unemployable by anyone but themselves." Excellent stuff - Nigel you are up there with Geoffrey Gorer and Victoria Mather - with a Searle or a Macartney-Snape to illustrate you would be a bestseller with a series like this! I didn't know the pic was of Delany either Callum - am old fan also. Ms Cheeky Girl looks as if she has wandered in off the cover of some old SF mag featuring a Delany story, come to think of it. Incidentally, canny female dealers in secondhand books are indeed rare, but I do know one - Maureen of Caledonia Books in Glasgow. Anyway fab stuff, thanks Nigel. Ah, Mr Moore, you obviously know about the Blakes and the Yorkshire ripper-off. I know of one Glasgow upmarket dealer who may not agree with the 'canny' appellation. It's apparently a long tale of missed opportunity, greed, failure to seek advice from a reputable source and much more, or so I believe. It is just the sort of thing Mr.Bookride could expound on at length. Of course there was a partial happy ending, but it could have been so, so much better. Every female dealer I had the honour to buy books from and who, normally condescendingly, allowed me a 'trade discount' ALWAYS never rounded it to the nearest £, but made me pay £31.37 or whatever. Never had that with male dealers. Always preferred the women, however. I was engaged to, but never married the cheeky girl.